The worst of the XPocalypse is over, but can free upgrades avert a similar crisis for Windows 7? Microsoft’s end of support for Windows XP is having its desired effect, with Windows 8.1 pulling ahead in usage share. NetMarketshare's June 2015 operating system stats. Microsoft pulled the plug on Windows XP support in April 2014, after more than 12 years on the market. Users who stick with XP now face the risk of unpatched security vulnerabilities and dwindling support from software vendors. 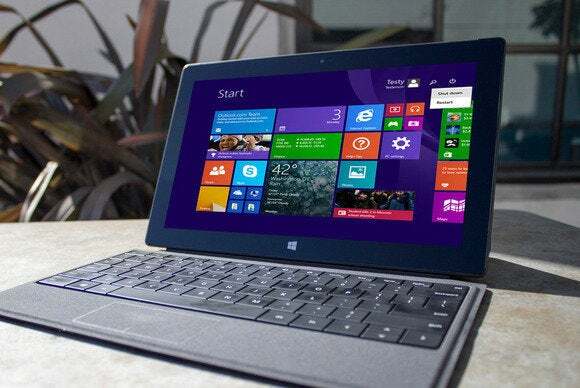 Prior to the end of support, Microsoft had been prompting users to upgrade, either to Windows 7 or Windows 8.1. Of course, Windows 7 still reigns supreme over all other Windows versions. While Statcounter has Windows 7’s share hovering around 50 percent (and dipping to 48.53 percent in May), Netmarketshare is showing a steady climb for the 6-year-old operating system, reaching a high of 60.98 percent usage share in June. 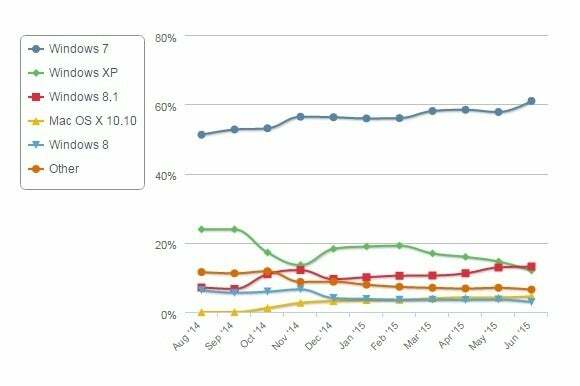 Why this matters: While Windows 8.1’s lead over XP marks a milestone for Microsoft, the big question is whether people will move to Windows 10 after it arrives on July 29. Microsoft is making the unprecedented move of offering free consumer upgrades from both Windows 7 and Windows 8.1, hoping people will embrace the company’s new apps and cloud services. The next several months of Statcounter and Netmarketshare reports should be very interesting.